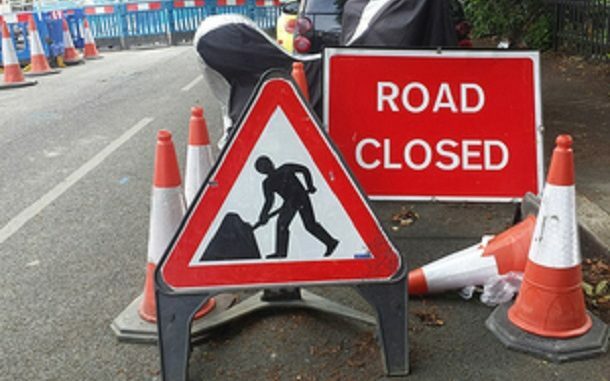 Resurfacing works are taking place on a number of Thanet’s major routes from this month meaning road closures and diversions. A256 Sandwich Bypass (Northbound & Southbound): Resurfacing works on the A256 Sandwich Bypass, both northbound and southbound between Monks Way Roundabout and Ramsgate Road (Great Stonar) roundabout under a full road closure. Work starts on January 29 for 6 consecutive nights between 8pm – 5am on each night of works. The diversion will be via Monks Way and Ramsgate Road. Both the northbound and southbound carriageway will be closed. A256 Ramsgate Road (Northbound & Southbound): Resurfacing works on the A256 Ramsgate Road, both northbound and southbound between Ramsgate Road (Great Stonar) Roundabout and Richborough Port roundabout under a full road closure. Work will take place from February 4 for 2 consecutive nights between 8pm – 5am each night. The diversion will be via the A299 Thanet Way, A28 (through Sturry and Canterbury) and A257 (through Ash and Wingham). Both the northbound and southbound carriageway on the A256 will be closed. A256 Richborough Way (Northbound & Southbound): Resurfacing works on the A256 Richborough Way, both northbound and southbound between Hengist Way (Sevenscore r’bt) and Ebbsfleet roundabout under a full road closure. These works are planned to start on February 9 for 6 consecutive nights between 8pm – 5am. The diversion will be via the A299 Thanet Way, A28 (through Sturry and Canterbury) and A257 (through Ash and Wingham). Both the northbound and southbound carriageway on the A256 will be closed. Resurfacing of the A299 starts from January 26 to February 23 (including weekends) between 8pm and 5am. The road between the St Nicholas and Minster roundabouts will be closed during this time. The diversion route will be via the A28 – B2052 – A254 – A256 Haine Road – A299 Hengist Way – A299. The resurfacing work on the Sandwich bypass and from Richborough Road has already been done once.